I put off signing up for an HSA for years because it was confusing and seemed to have a lot of rules and restrictions. You need to have an HDHP (high deductible health plan) in order to get an HSA. 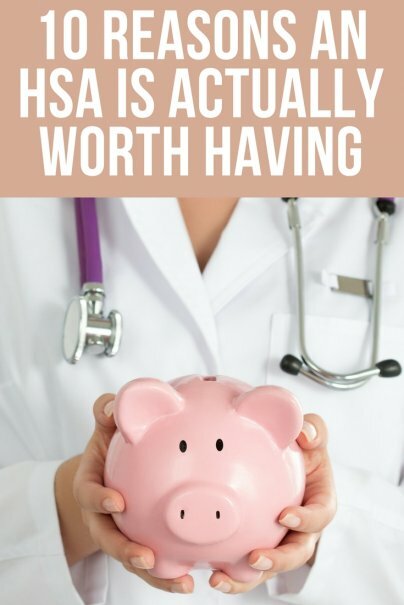 HSA funds can only be spent on qualified medical expenses — or else you can be hit with a 20 percent penalty and have to pay income tax on the withdrawal. I was hesitant to contribute funds into an account when I was worried it would be complicated to get the money back out. You can conveniently access your HSA funds using a credit card tied to the HSA account at the doctor's office or pharmacy. You can also pay medical expenses with a check or credit card, and then withdraw funds from your HSA account to put back into your checking account. HSA spending is not limited to only doctor and hospital bills — you can also use HSA funds for medication, eye care, dental care, and other health-related expenses including bandages and prescription sunglasses. The IRS offers a complete list of qualified medical expenses. You'll contribute pretax dollars to an HSA from every paycheck, without paying income tax on those contributions. This means you can save around 25 to 30 percent on health care expenses, depending on your tax rate. In addition, you can earn interest on the funds in your HSA account. With some HSA providers, you can even invest your HSA funds for more potential growth. Gains on HSA funds are tax-free. For qualified medical expenses, you can also withdraw funds from your HSA tax-free. One of my concerns with putting money into an HSA was the fear that it was a "use it or lose it" proposition like some flexible spending accounts I have previously used for health expenses. But funds in an HSA roll over from one year to the next, so you never lose your money if you don't spend it. An HSA is not only a way to pay for current medical expenses, it is also an ideal vehicle to build savings for future medical expenses. You can deposit money on a pretax basis, enjoy growth on invested HSA funds without paying taxes, and then withdraw funds years later when medical expenses arise with no tax obligation. No other investment vehicle provides this combination of benefits to grow savings for medical costs. When you reach age 65, you can continue to draw funds for qualified medical expenses tax-free. Or, you can use your HSA funds for any purpose you wish, without penalty (but you will pay income taxes if it's for non-health spending). An HSA effectively functions as an individual retirement account (IRA) when you reach 65, with the added benefit of tax-free dollars for medical expenses. When you move from one employer to another, or even opt to pursue freelance work, you get to keep your HSA and all of your funds. Some employers contribute funds to employees' HSA accounts as a benefit. If you don't have an HSA, you might be missing out on free money! Although the easiest way to take advantage of an HSA is to simply sign up for a program offered by your employer, you can open your own HSA if you are self-employed. You will need to find your own HSA provider such as a bank, credit union, insurance company, or investment broker. Look for an HSA provider with low fees, that provides access to HSA funds via a credit card, and that provides investment options for HSA funds. The maximum annual HSA contribution amount is $3,350 for individuals, or $6,750 for families. Let's say your federal plus state income tax rate is 25 percent. Since contributions are tax-free, if you contribute the maximum to your HSA, you would save $837.50 for an individual or $1687.50 for a family on taxes on current or future qualified medical expenses.